The anticipation of a whole new set of wearable goodies to try on is quietly building, and it's been another week of first looks and updates. For instance, we got a good look at Samsung's Gear Fit2 Pro, which we learned will have swim tracking and offline Spotify playback. There was also the Runscribe Plus, which is opening up its platform to the likes of Garmin and Suunto. The Movado Connect also went on sale, so if you're looking for some premium Swiss style of the smartwatch variety you're in luck. On the features front, Google Home gained the ability to make calls while the Misfit Vapor lost GPS. That's not all that happened this week though. If you'd like to indulge yourself further, you can head over to our dedicated news section. And, as always here on And Finally, we have a whole smattering of other news you might have missed this week. The Apple Watch is reportedly set to go standalone with the addition of LTE in Series 3, but that won't mean it can do everything by itself. The ever reliable KGI Securities analyst Ming-Chi Kuo says the LTE Apple Watch may not support cellular voice calls at launch. Why? Because Apple may want to focus primarily on data and getting that working right first before turning its attention to phone calls. Which, from a usage point of view, makes sense. You're more likely to use the data on the Apple Watch for something than take phone calls. Are we on our way to a cashless society? The jury is still out, but less so for 6,000 students in Singapore. Their parents can, and have, signed them up for the POBS Smart Buddy Program, which gives them free smartwatches that have payments enabled. Parents can then remotely allocate allowance for the kids to use at popular stores in Singapore like Cheers and Popular. Oh, and parents can even see what food the kids are buying so they can manage / scrutinize eating habits. Signapore, on a whole, has been fast to adopt cashless payments on a large scale, but there's nothing that'll make it stick than getting kids used to it early. More and more wearable companies are diving into health, making it easier for people to monitor their conditions. In 2016, self-monitoring health technology had a market worth $16.7 billion, according to market data from BCC Research's Andrew McWilliams.That number is going to boom in the coming years. It'll jump to $20.7 billion this year and continue to grow as it reaches $71.9 billion by 2022. 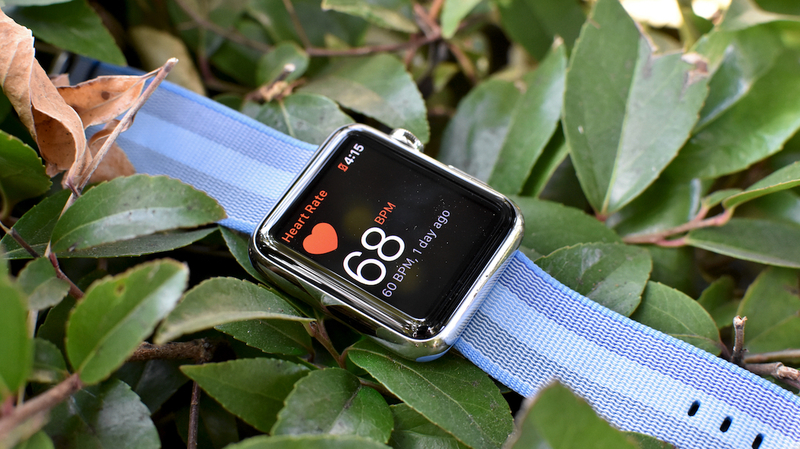 Apple and health insurer Aetna have been having secret meetings over the past couple of weeks about offering the Apple Watch as a free or subsidized perk to Aetna's 23 million customers, reports CNBC. This would be part of Aetna's new push its customers to take a greater interest in healthier lifestyles and better diets. There is some history here. The two companies already agreed some time ago to allow Aetna to give its employees cheaper Apple Watches as a perk. For Apple, this allows them to gain a much larger marketshare foothold. If agreed, the deal would likely start early next year and make it much easier for 23 million people to purchase an Apple Watch. And, of course, if Apple is working on a bunch of fancy health sensors to make the Apple Watch an indispensable health tool then it's all gravy.